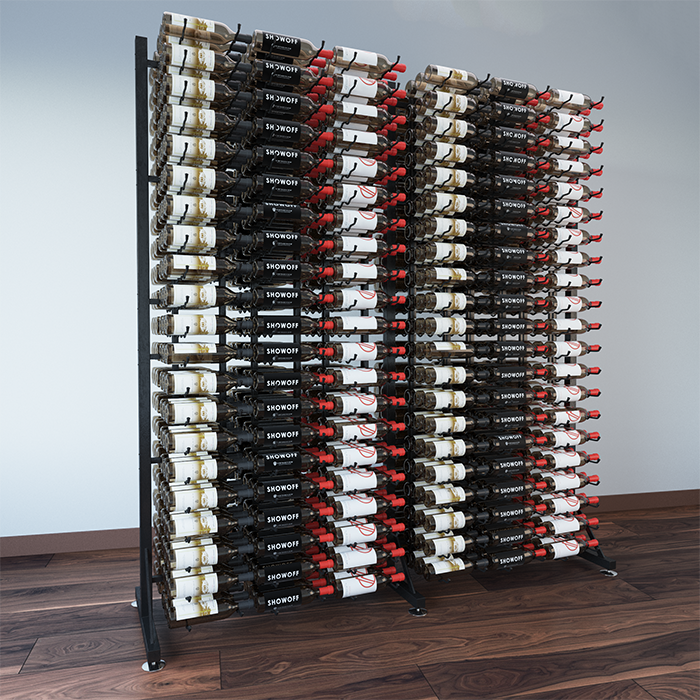 The evolution of VintageView is an obvious one, utilizing our contemporary, label-forward wine storage systems on the ground. 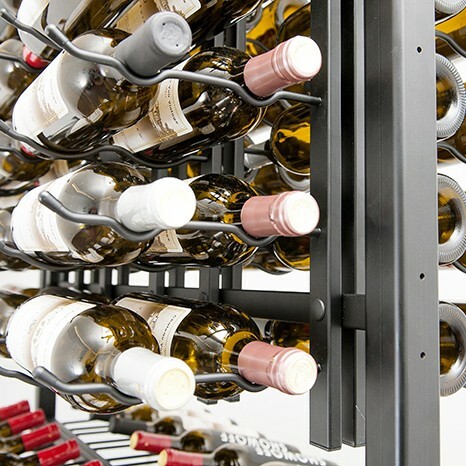 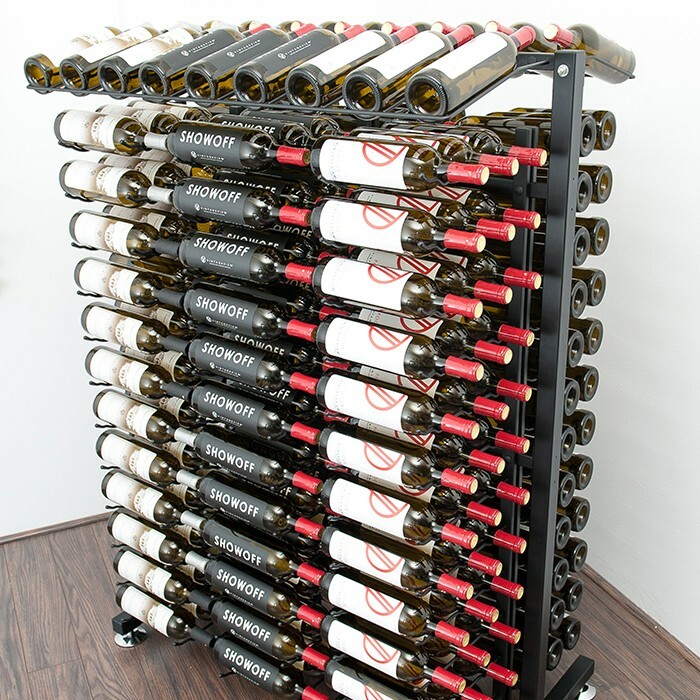 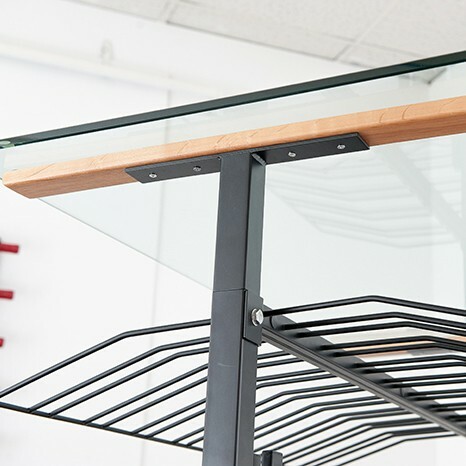 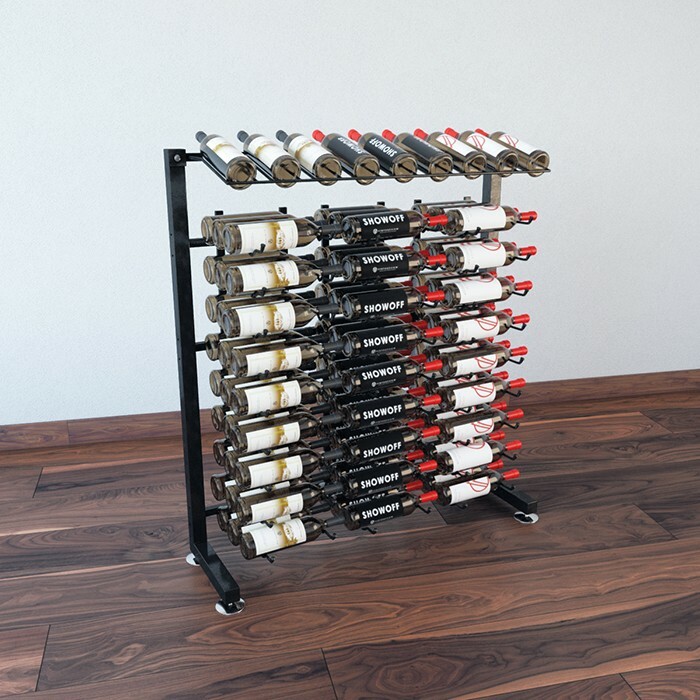 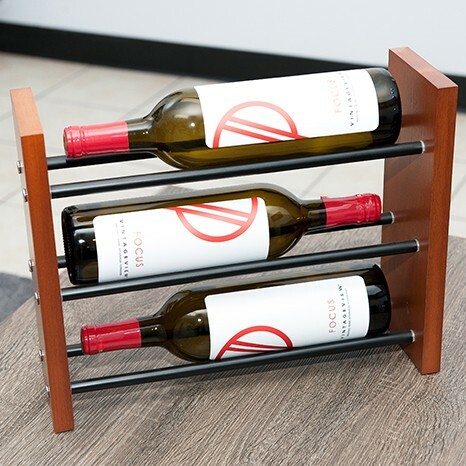 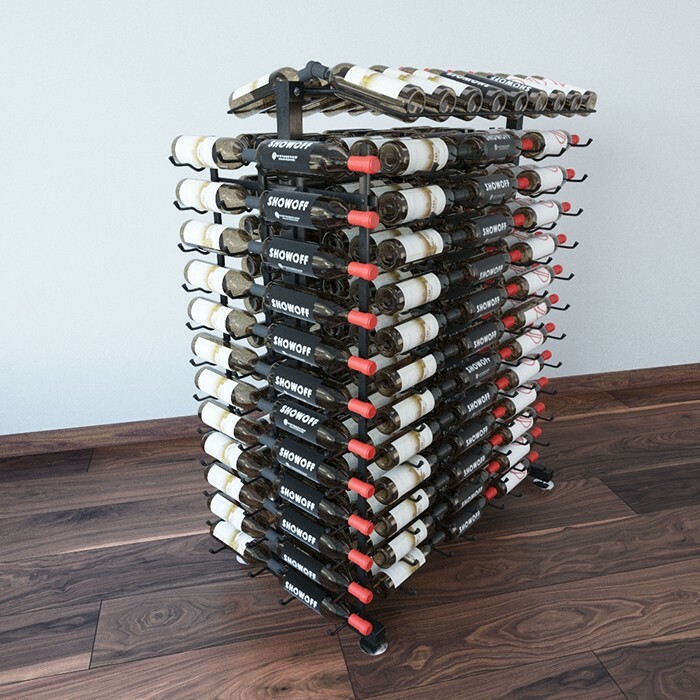 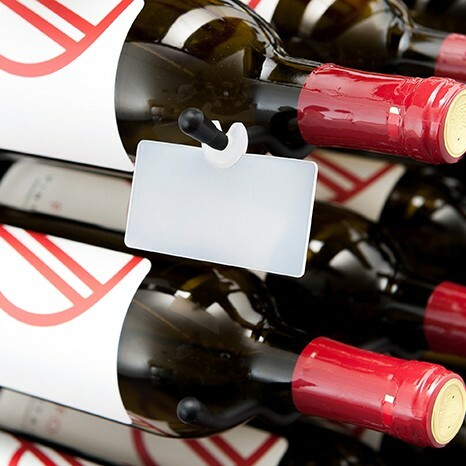 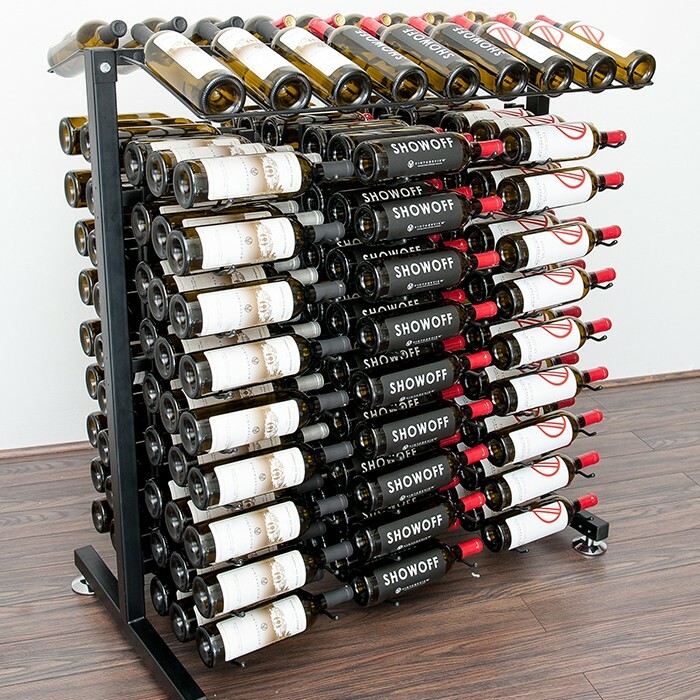 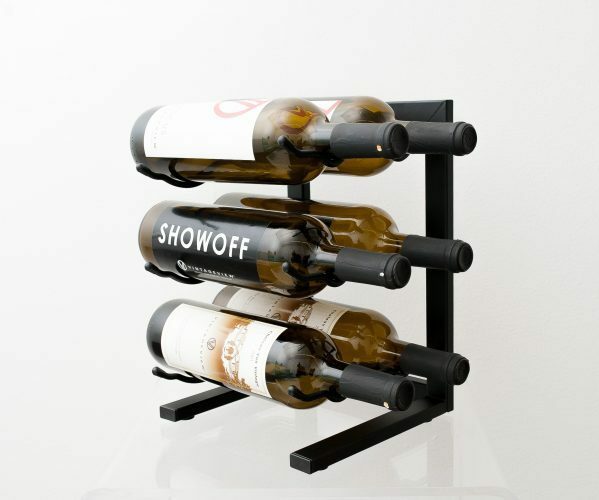 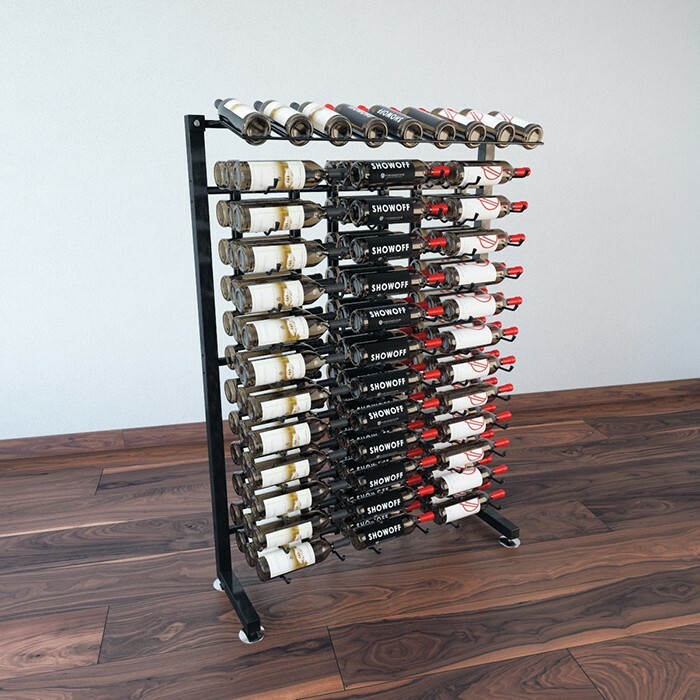 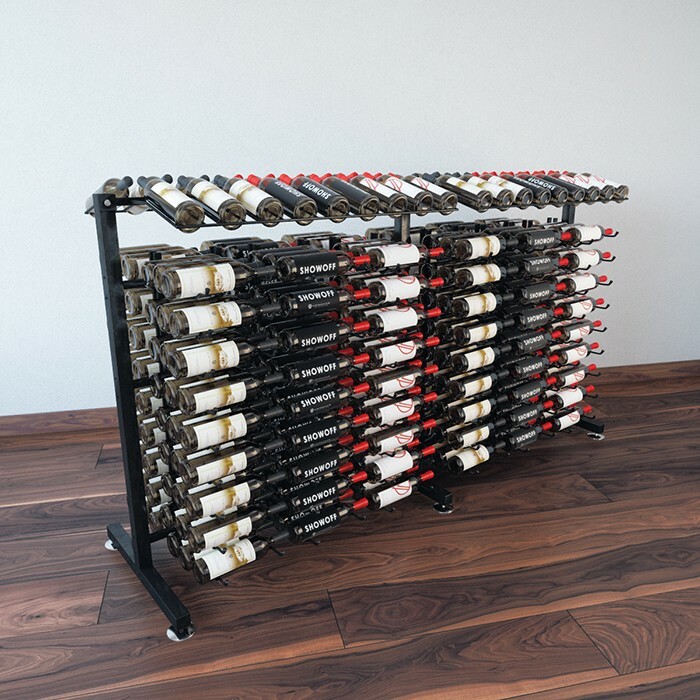 These innovative racks are all free standing, which allows retailers, homeowners and restaurateurs to place stylish wine storage just about anywhere that offers a few feet of floor space. 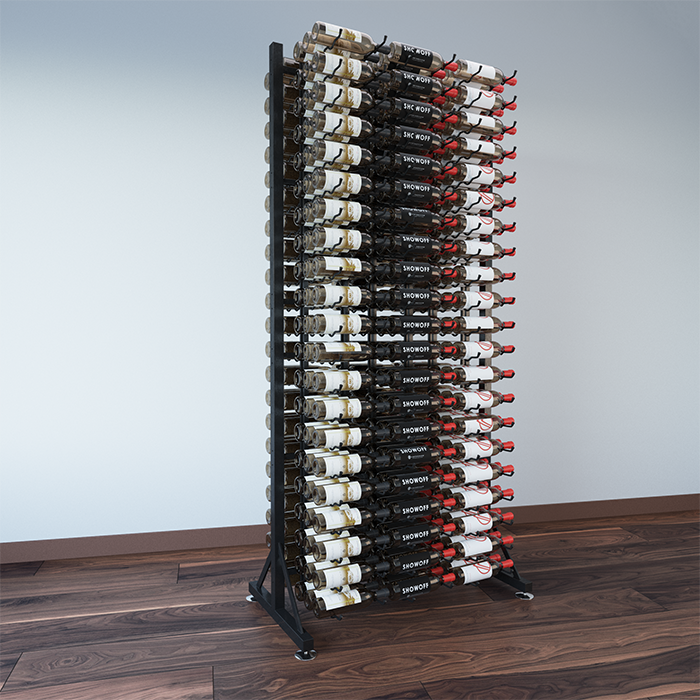 The Evolution Series mixes acrylic and metal for a one-of-a-kind look perfect for all wine collections. 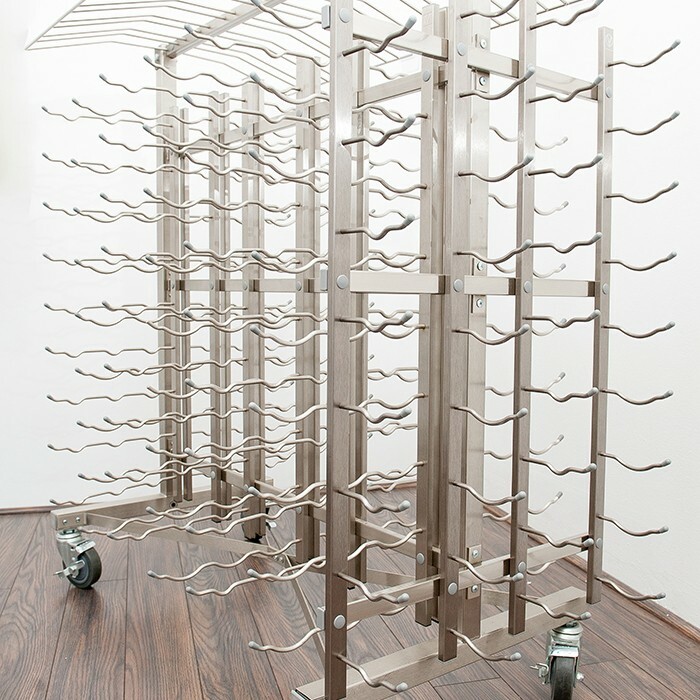 Our Island Display Racks are the most beautiful and efficient way to show off wine in a retail environment. 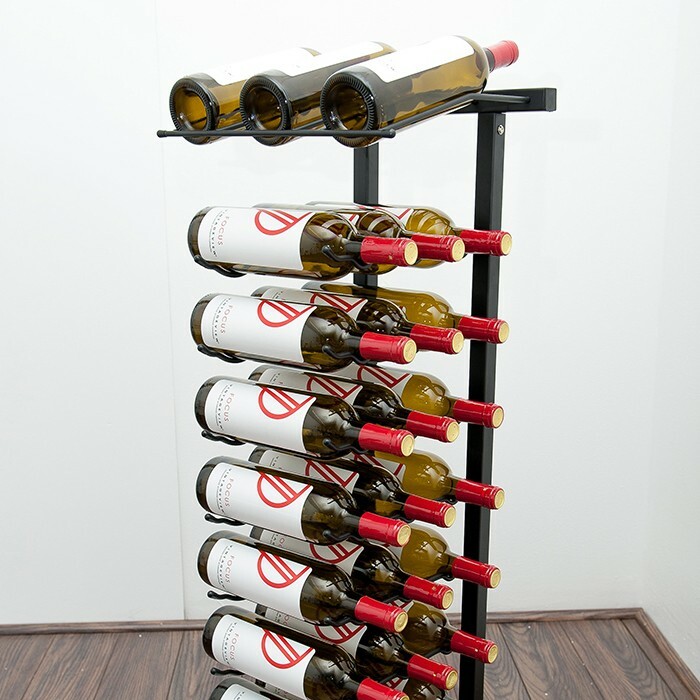 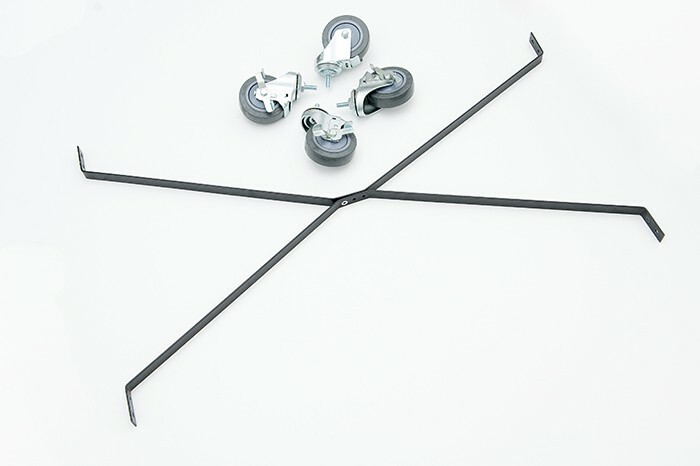 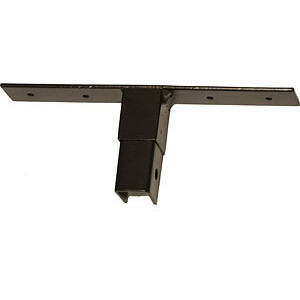 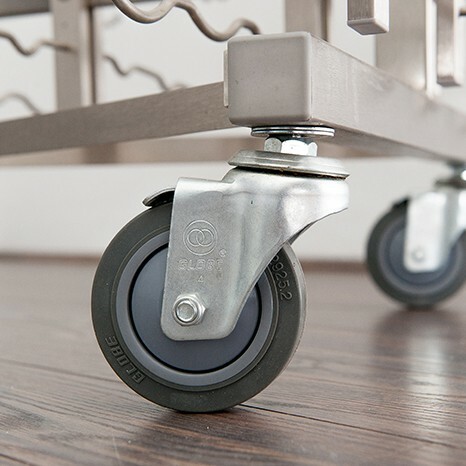 Our freestanding products are great on their own and design well with any number of wall-mounted configurations. 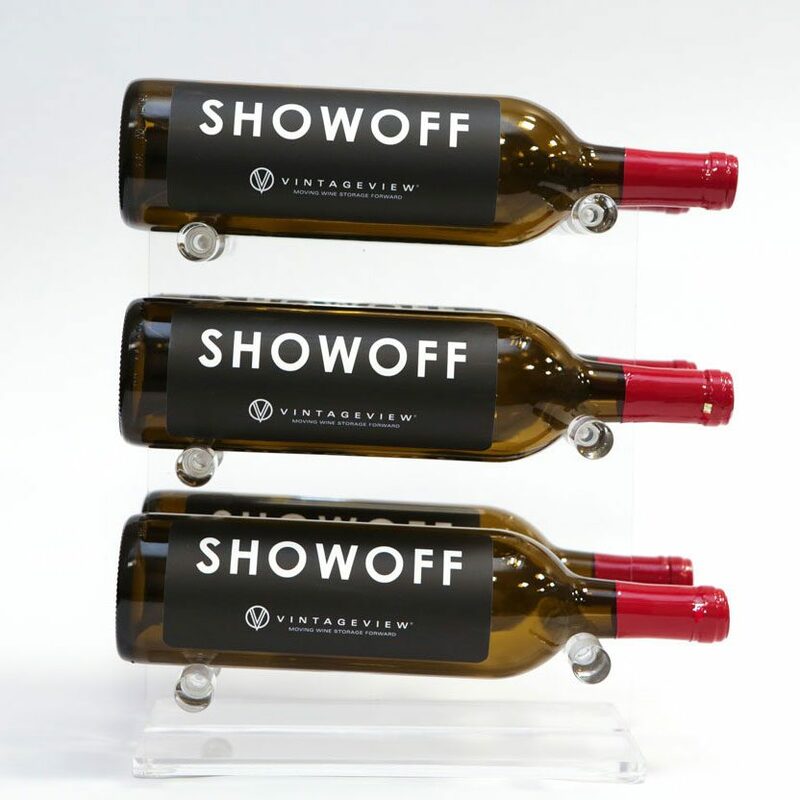 The most compact of our contemporary Island Display Series, this free-standing display is a perfect addition to any retail environment with space for 180 bottles. 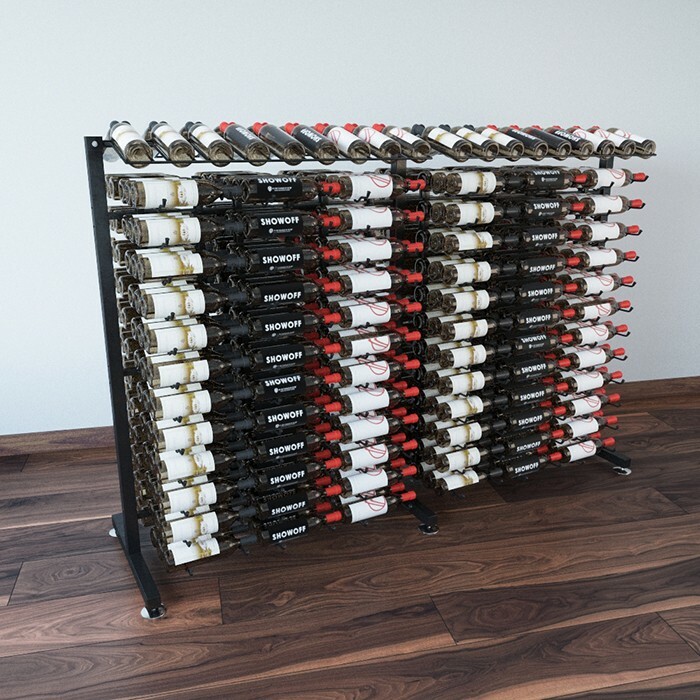 Our largest option in the contemporary Island Display Series line, this impressive display is an an ideal free-standing solution for any retail environment with higher ceiling heights, holding 378 bottles and displaying them on stylish steel racks. 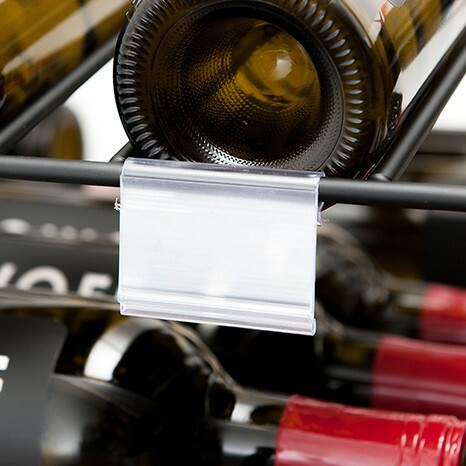 The perfect addition to any IDR3 that opens to an aisle or walkway, the End Cap adds an additional 18 bottles worth of storage in stunning, high-visibility fashion. 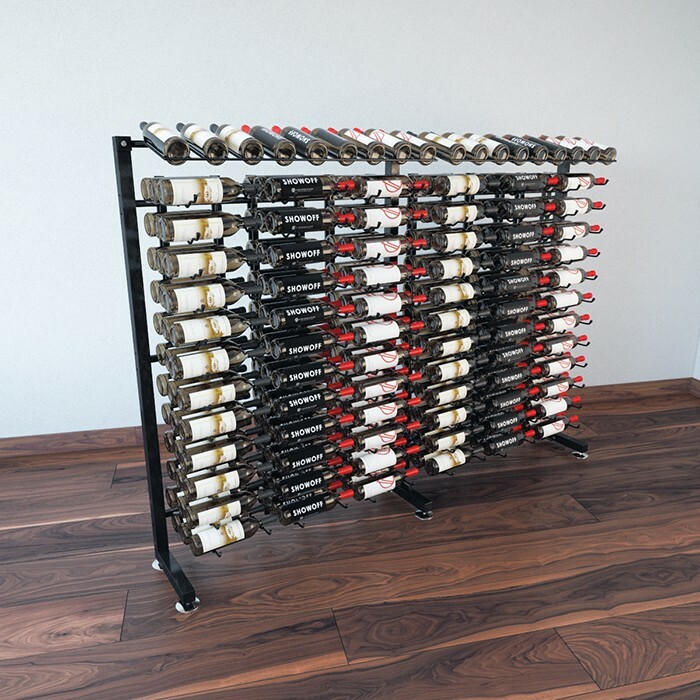 Double the capacity of our most compact, contemporary Island Display Series, this extension package adds storage for another 180 bottles and helps create stunning retail aisles. 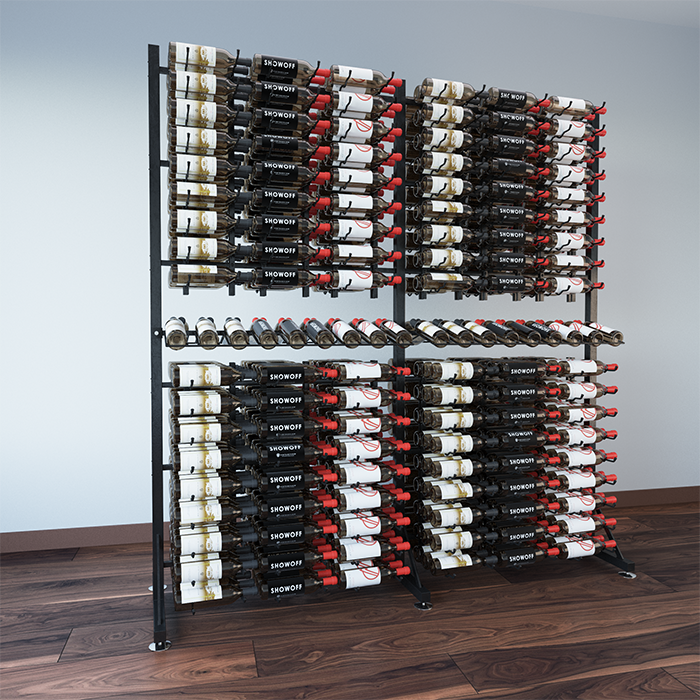 Doubling the capacity of our tallest Island Display Series rack, this extension package adds capacity for another 288 bottles and helps create stunning walls or aisles of wine. 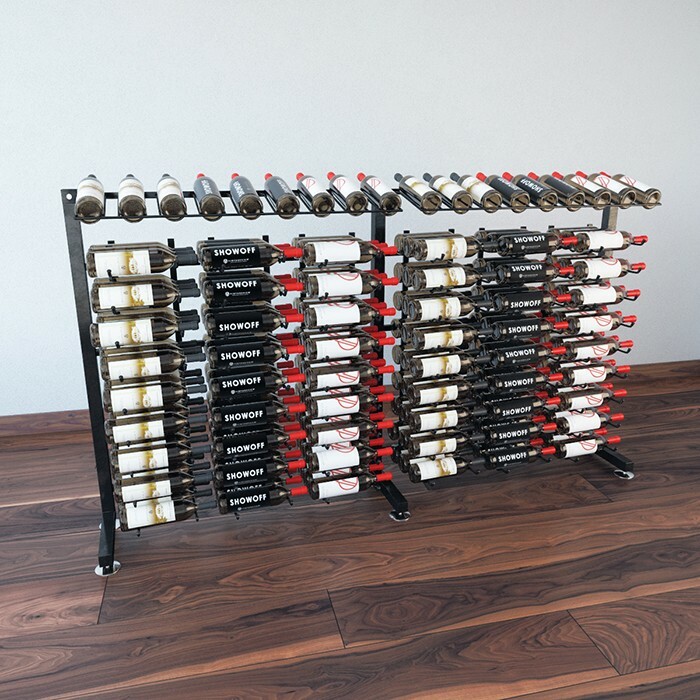 Doubling the capacity of our biggest Island Display Series rack, this metal wine rack extension package adds capacity for another 31 cases of wine to show off to your customers in stunning contemporary fashion.